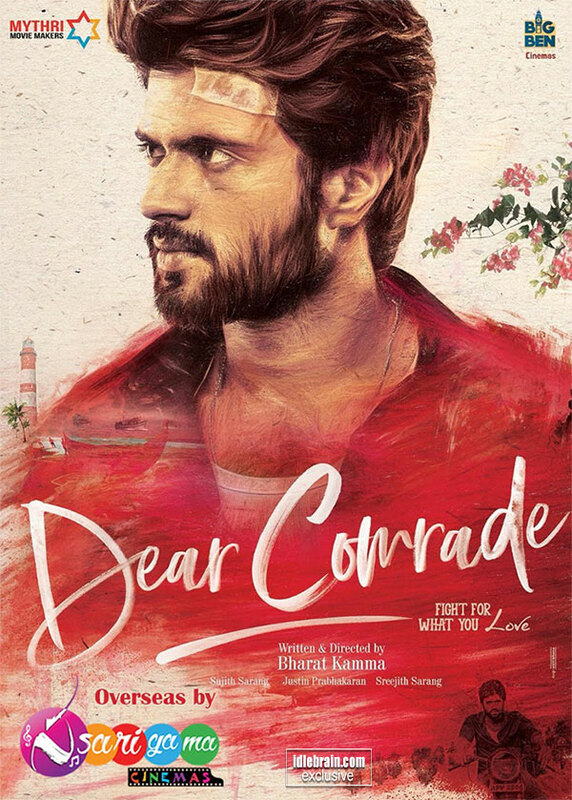 Sarigama Cinemas is now proudly bringing Dear Comrade, another highly-anticipated Vijay Devarakonda’s movie, to overseas Telugu movie audience following the recent smash hit Geeta Govindam. There are a plenty of reasons to look forward to this upcoming movie featuring the latest Tollywood movie sensation ‘Vijay Devarakonda’. Dear Comrade is produced by the popular production house Mythri Movie Makers in association with Big Ben Cinema. Mythri Movie Makers emerged as one of the leading production houses of Telugu cinema after blockbuster hits including Srimanthudu, Janatha Garage and Rangasthalam. The return of the crazy combination of Vijay Devarakonda and Rashmika Mandanna after the recent overseas blockbuster Geeta Govindam will sure add fuel to the fire. The movie also marks the directional debut of Bharat Kamma, an erstwhile assistant of Chandrasekhar Yeleti. Touted to be an action drama with elements of romance and comedy, this movie will show Vijay Devarakonda in a powerful role. The story of Dear Comrade is based on cricket. Rashmika Mandanna will be seen as a cricketer in the film and her character will be very different from regular roles. Interestingly, it is said to be a fun-filled drama and Vijay Devarakonda’s role is an intense one that will again impress everyone. Dear Comrade also prides itself from the presence of a strong technical team. The film will have music by Justin Prabhakaran, best known for his work in Tamil movies. He expressed that this project marks his foray into Tollywood. Sujith Sarang is the cinematographer for this movie, a gold medalist from Adyar Film Institute. Once again, our sincere thanks to Mythri Movie makers & Big Ben Cinema production team, for extending their support and providing us this opportunity to travel this prestigious journey. Please visit our website to www.sarigamacinemasllc.com for more information.